Andrew, 21, and Daniel Frankish, 19. What you will see is what most people would think would, and should, be years in prison, but turned out to be only weeks. They only received a 21-week sentence with a six-month curfew. 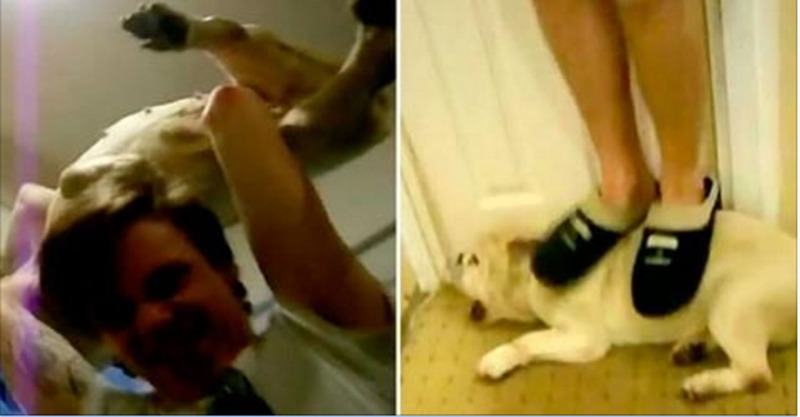 These degenerates actually filmed themselves beating up their bulldog which was named Baby. They jump on Baby, they hit Baby, they headbutt baby, and then they actually throw the poor bulldog down a flight of stairs. Naturally there has been a huge backlash online in regards to their pathetic light sentence. The British government is being urged to investigate this matter further and a petition on Change.org is gaining a lot of steam. 457,011 signatures and counting so far. No doubt it will easily hit the goal 500,000. The man who started the petition is Alex Richardson-Lee. He notes the video and the sickening brutality against the bulldog which made him get this going, pushing for a far greater sentence. Not only is torture revealed in the video, but he was especially shocked by the clear enjoyment of torture displayed by the scumbag brothers. No doubt when viewing the video, you can see exactly what he means. Right now there is no change in the sentencing of the brothers. Due to the petition and outraged people online, there may be a good chance that it will at least be revisited. Here’s where you can sign the petition. Remember to SHARE this story with your family and friends. Don’t forget to share this story with others to shine more light on these sick individuals and hopefully they will get a much stiffer punishment for their heinous acts.